A Contemporary faceted pattern with a soft touch rubber effect. 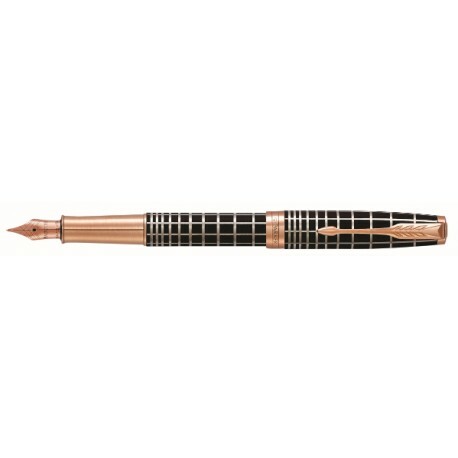 Complemented with rose gold finish trims and a 18k solid gold nib with a rose gold finish. Piston converter included. May also be used with Parker ink cartridges. Made in France. 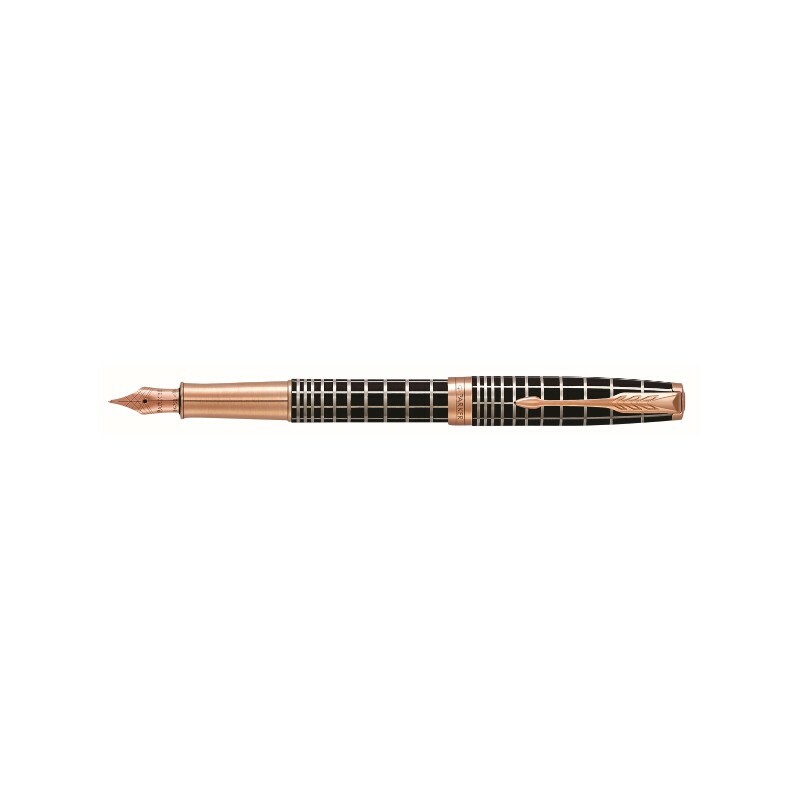 Packaged in a premium Parker gift box. Selling Fast: Last items in stock!